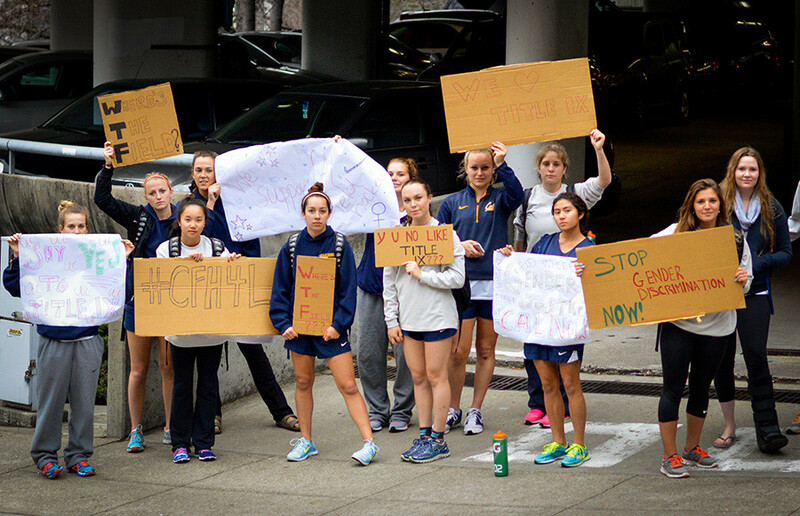 The women’s field hockey team staged a protest Tuesday over the campus’s failure to provide them with a temporary playing facility by their season’s first day of practice. 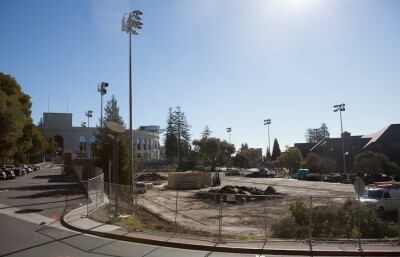 According to Kiki Williams, an attorney who represents the team, UC Berkeley told the players they would be able to practice at the Hearst La Loma tennis courts — only about one-fourth the size of a regulation field — while the larger Underhill field is converted into a Division I facility suitable for field hockey. The La Loma location, however, is still not ready to be used. 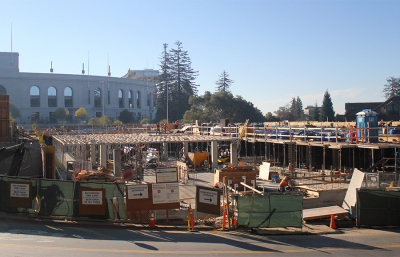 The situation arose from the decision to build a parking structure under Maxwell Family Field, the team’s former home. Williams said Maxwell Field will be redesignated as a second practice space for the football team after construction is finished. In order to have somewhere to play this season, Williams said the team agreed to changing fields. Lee and two of her teammates, Courtney Hendrickson and Monica Marrazzo, pursued an action against UC Berkeley under Title IX — the federal law that prohibits gender-based discrimination in education — on the allegation that, according to Williams, the field hockey team is the only UC Berkeley team without an on-campus field. At the demonstration Tuesday morning, members of the team held signs and chanted, “Where’s the field?” In addition to demonstrating against their lack of facilities, Lee said her team hoped to spark conversation about gender issues in general. Shellie Onstead, the team’s head coach, declined to comment. Contact Logan Goldberg at [email protected].